Mauricio Pochettino said it is too early to tell whether influential pair Jan Vertonghen and Mousa Dembele will miss for Spurs' Champions League tie against Barcelona after they came off injured against Huddersfield. Both players were substituted at half-time during Spurs' 2-0 win over Huddersfield at the John Smith's Stadium, while Dele Alli and Christian Eriksen were ruled out beforehand with hamstring and abdominal injuries respectively. Vertonghen went down clutching his hamstring after a quarter of an hour, while Dembele came off after receiving a knock. Harry Winks and Victor Wanyama replaced them at the interval, with Eric Dier filling in for Vertonghen in defence. Pochettino admitted that Wednesday's pivotal Champions League clash could come too soon for the pair but stressed that they would both be assessed over the next few days. "We need to assess tomorrow and after tomorrow both [Vertonghen and Dembele]. We'll see what happens but for now it's impossible to say anything," Pochettino said. "It will be difficult for Wednesday but of course, for me it's always about the squad and both Harry [Winks] and Victor [Wanyama] were fantastic for 45 minutes." 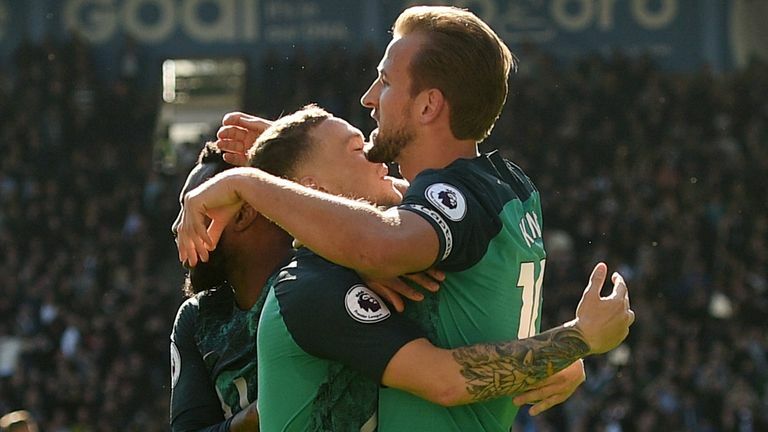 The injuries to Vertonghen and Dembele were the only sour note for Spurs as they recorded a comfortable 2-0 win over Huddersfield, with Harry Kane scoring both goals. That win followed last weekend's 2-1 victory over Brighton and Wednesday's Carabao Cup success on penalties against Watford, after Spurs had lost their three previous matches. 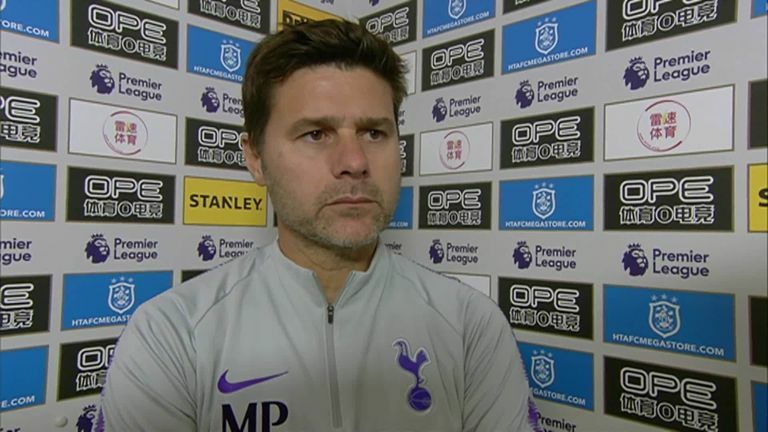 Mauricio Pochettino praised his players’ performance and was particularly pleased to have kept a clean sheet as Tottenham beat Huddersfield 2-0. "The game was so difficult," added Pochettino. "They were so aggressive from the beginning, it's a team that is fighting for wins and their fans were unbelievable in how they pushed the team. "Of course it was a tough game. I'm very pleased with the performance - the attitude and the clean sheet is so, so important for us. "I'm not so excited now and wasn't so depressed before! The most important thing for now was the three points and now we need to think about the next one. "We have a very tough two games ahead in Barcelona and Cardiff and it's so important to head into the international break with a good result."